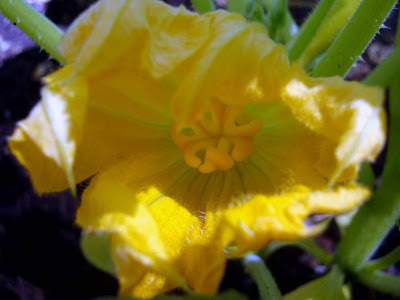 Home Lifestyle	Squash Blooms in April! Well I can’t believe it but we already have at least TEN squash blooms in our vegetable garden! 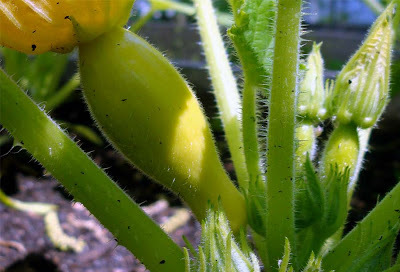 I mean actual squash! That is growing! And will be ready to eat in a matter of weeks! OR LESS! I really didn’t think we would be getting fruit this soon, but I am not complaining! I just need to watch them to be sure our soil is balanced so we don’t get blossom end rot, the sworn enemy of squash and a variety of other garden veggies. I did however, stumble upon several little green mama bugs with babies. I am still trying to figure out who they are so I can get rid of them. NO VACANCY in this garden. In the meantime, we’ll continue to eat our lettuce and monitor the status of the other tenants. The front beds are doing great this year and we just added 4 hydrangea to the mix! I’ll post pictures of that soon. The weather has been so perfect for working outside. It’s hard to believe it will be hot and muggy soon. I’ll just try and enjoy it while I can!